There exists a common misapprehension that lawyers and legal assistants do most of their work in court. More and more often, attorneys and their clients are seeking ways to reconcile differences without spending the time and money involved in a law suit. This course will provide students with a working knowledge of the basic theories underlying negotiation, arbitration, and mediation. Students will learn the important distinguishing characteristics of each of these "alternative" approaches to resolving disputes, and will also learn how to address the ethical and legal issues which may arise in pursuit of these remedies. In addition to covering current theory on these topics, much of the course will be dedicated to hypothetical scenarios and court cases concerning arbitration. 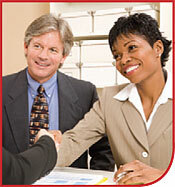 Another portion will center on the contracts involved in mediation. Thus, students will complete this class familiar with the general workings of these processes both from a theoretical perspective and from a practical perspective. Analyze the advantages and disadvantages of negotiation in a particular situation vis a vis taking the dispute to a court of law. Assist in strategically determining a client's negotiation position; in terms of the strength and weaknesses of that client's case. Explain how one can generally avoid dangers which arise during negotiation. Analyze ethical issues which may arise in negotiation. Explain what a mediator does and does not do. Analyze the meaning, and effect, of mediation agreements and how they affect the parties' future rights. Explain the advantages and disadvantages of arbitration and assist in making the determination of whether arbitration is appropriate in a particular case. Research and apply the state and federal laws which govern arbitration. Take the steps necessary to initiate an arbitration proceeding. Explain the form and functions of high-low arbitration and how it operates differently from traditional arbitration.